The price of gasoline has not stopped going up, but at least it’s not going up as fast. The AAA Fuel Gauge Survey shows the average price of regular has risen three cents a gallon to $2.83 in the last week. That follows a nine cent rise during the previous seven days. The average price of premium is $3.39 a gallon, six cents higher than the previous Friday. The average price of diesel fuel is $3.07 a gallon, two cents higher than last week. With U.S. oil refineries cutting back on gasoline production during spring maintenance, and the switch over to summer blend fuel, the price of gasoline is rising nationwide. According to the AAA Fuel Gauge Survey, the national Average price of self-serve regular is now at $2.03 a gallon, up a nickel from a week ago but nearly 32 cents higher than last month. AAA says it's the first time this year the average price has exceeded the $2 a gallon mark. World oil prices are in free-fall once again, hitting levels not seen since the financial crisis of 2008. Back then, it was fear that the economy was collapsing that drove oil lower. Today, it's the fact that the world has more oil than it knows what to do with. Reuters reports Brent crude plunged 4% to below $36.40 a barrel for the first time since December 2008. For Brent, that's just 14 cents above the post-financial crisis lows. Attorneys General from more than 30 states are investigating the underlying cause for sudden and dramatic increases in gasoline prices across the country. The multi-state probe will focus on the factors that generated the rapid escalation in gasoline prices in days following Hurricane Katrina. "Hurricane Katrina was an event totally outside human control," Pennsylvania Attorney General Tom Corbett said. "We want to determine if storm-related factors were the only things responsible for this sudden and dramatic jump of prices at the gas pump." California Attorney General Bill Lockyer announced he will subpoena records from refiners and probe the pricing practices of gas station owners in his state. Hurricane Katrina has broken families, devastated communities and destroyed lives, said Lockyer. Its during times such as this that its most important we pull together, act with one heart, and rebuild with a sense of community. To unjustly profit from tragedy is unconscionable. I hope this investigation does not find that such greed has afflicted oil companies and gas station operators in California. In Florida, Attorney General Charlie Crist has sent teams of investigators and sworn law enforcement personnel from his office to locations throughout the state to look into complaints of price gouging on the price of gasoline. Crist said investigators will be looking to determine whether the rapid rise of gas prices meets the legal definition of gouging, and vowed to prosecute any violations of the law. As of 1:00 p.m. Friday, the Attorney General's toll-free consumer hotline had received 1,050 complaints about skyrocketing gas prices in the days since Hurricane Katrina ravaged the Gulf Coast. "When we hear of 75- to 90-cent price spikes within two days, or reports that surcharges are being tacked onto consumers' fuel costs, then it is our duty to investigate," said Crist. "Floridians understood that damage from Hurricane Katrina would lead to some disruptions in fuel supply and some cost increases, but these spikes lead to legitimate questions that must be answered. Gouging will not be tolerated." Alabamas AG, Troy King, said What we have seen in the last few days is a crisis unfolding throughout America and particularly in the Southeast -- on top of the terrible natural disaster of Hurricane Katrina -- with gas prices rocketing to such a degree as to create serious allegations of price gouging." Other Attorneys General and I are committed to getting clear and understandable answers about why gas prices have risen so rapidly and dramatically, and if the law is being violated, we will take action," said King. Gas prices have spiraled to more than $3.00 per gallon across much of the country since Hurricane Katrina smashed into the Gulf Coast earlier this week. Consumers have seen gasoline prices drop sharply in the last week, falling more in some states than in others. But in point of fact, prices are just getting back to normal after speculation in the futures market added upward pressure in the two previous months. The AAA Fuel Gauge Survey shows the national average price of gasoline is $2.16 a gallon after falling over the last 10 days. That's down a nickel from a week ago and nearly a dime lower than a month ago. But it is exactly in line with last year's national average. “The abundance of crude oil in the global market is contributing to lower prices, and as a result, retail averages are the same price as compared to one year ago,” AAA said on its website. Another factor is at play here as well. The U.S. dollar has strengthened significantly since Donald Trump's election a week ago and, since oil is priced in dollars, oil prices have begun to fall even more. They were moving in the other direction in September and October as speculators bet that OPEC members, which are scheduled to meet at the end of this month, would agree to cap production, to drive up oil prices. Wall Street optimism for such an agreement is fading, and the latest data shows OPEC has increased production in recent weeks. There also tends to be less demand for gasoline during the month of November, and with refinery maintenance mostly completed, the outlook is brightening for falling fuel prices into the end of the year. In some states, the price at the pump is absolutely in a free-fall. In the last week, Indiana saw its statewide average plunge 14 cents a gallon. It's down 12 cents in Ohio, 11 cents in Michigan, eight cents in Kentucky and Illinois, and seven cents in Nebraska and Oklahoma. The statewide average is below $2 in nine states, with the lowest prices in Missouri and Oklahoma, both of which are reporting an average price of $1.88 a gallon. The price motorists pay at the gas pump keeps falling, and with less than five weeks remaining in 2015, it appears likely we'll start 2016 with a national average price below $2 a gallon. According to the AAA Fuel Gauge Survey, today's national average is $2.03 a gallon, down three cents per gallon for the week, 14 cents over the last month, and 74 cents compared to a year ago. The national average has dropped for 24 of the past 30 days. The biggest contributor to the break at the gas pump has been the end of unplanned and planned refinery maintenance, which tends to reduce the output of refined gasoline and creates temporary bottlenecks in supply. 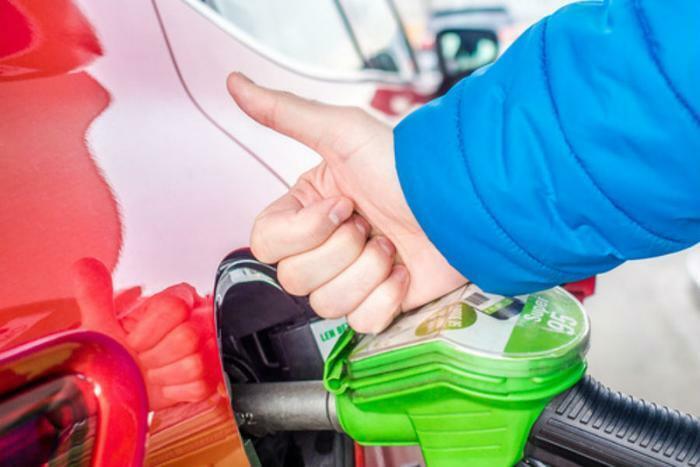 AAA says that not only have these supply disruptions been cleared up, demand for gasoline typically goes down during the winter months and the gasoline market may become even more oversupplied in the near term. That should should keep gas prices relatively low. Barring any unanticipated disruptions in supply, or swings in the price of crude oil, AAA expects retail averages to continue to fall leading into 2016. A new survey by CNBC should also give motorists some holiday cheer. The business news network surveyed oil industry analysts and traders and found 46% believe oil will reach new lows in the first half of 2016. In a unanimous vote, 100% of those surveyed agreed that OPEC will not increase production when it meets later this week. It was OPEC action a year ago, ramping up production in the face of ample supply and declining demand, that began oil's downward price spiral. Low oil prices, of course, pull down gasoline prices with them. Meanwhile, drivers in 22 states are now enjoying gasoline prices that average $2 a gallon or less. Just a couple of months ago, refinery problems in the Midwest sent gasoline prices in that region soaring. But now AAA reports Michigan is tied with Missouri for the lowest average gasoline price – $1.81 a gallon – and Ohio is close behind at $1.82. While prices have leveled off in some areas, average gasoline prices are down in 45 states and Washington, D.C. month-over-month, and consumers in 34 states are saving a nickel or more per gallon. Fifteen states have seen savings of 25 cents or more per gallon over the last 30 days, led by Michigan, where the price is down 47 cents a gallon. Wisconsin motorists are saving 38 cents a gallon and Ohio drivers are pocketing 36 cents. Pump prices moved higher in five states over the last month, all by less than a nickel per gallon. The price is up four cents in Oregon, and three cents in both New Jersey and Washington. The Commodity Futures Trading Commission, the government agency responsible for overseeing the trading of energy contracts, has taken the unusual step of revealing a six-month investigation into possible price manipulation. The announcement comes amid a breathtaking spike in oil prices and growing speculation that speculators are a big cause of consumer misery. When the price of gasoline goes down, as it has since August, consumers typically don't question why. They just fill up and consider themselves lucky for now, waiting for the inevitable price spike. A month ago the national average price of self-serve regular was $3.40, which was down significantly from the month before. But today the average price is below $3.20 a gallon, with motorists paying well below $3 in a handful of states, according to AAA. It provides a nice break for consumers heading into the holiday season, but can it last? It just might. In an exclusive this week, Reuters reported that Saudi Arabian oil officials have privately told industry colleagues they would be comfortable with lower oil prices for an extended period of time. For years the world price of oil has hovered north of $100 a barrel. The Saudis reportedly said they wouldn't mind if the price continued to fall, to between $80 and $90 a barrel. There are many factors that affect the price of gasoline but the price of oil is a big one. If oil sold between $80 and $90 a barrel for an extended period – and the Saudis are reportedly talking about 2 years – then the price of gasoline should remain at present levels, or even drift lower. Why would Saudi Arabia, which depends on its oil revenue for nearly all of its income, so willingly accept lower prices? Do they finally feel sorry for U.S. consumers? Hardly. Because Saudi Arabia is so dependent on oil revenue it has become extremely worried about the shale oil revolution in the U.S., that has dramatically increased domestic production and made the U.S. less reliant on foreign sources. The Saudis see this as a significant long-term threat. But extracting oil from shale is an expensive process. As long as the price of oil has remained over $100 a barrel, U.S. oil production has been highly profitable. If the price falls below $90, however, it cuts into shale oil profit margins. There will be less money for research and development. In short, it's a squeeze play. According to Reuters, the Saudis appear willing to sacrifice short-term profits for a long-term strategy to weaken a competitor. Whether it works remains to be seen but it suggests how potent a force the Saudis consider U.S. shale. In the meantime, U.S. consumers stand to benefit. Once it becomes clear that the price of oil is on the decline, there will be less hedge fund money in the oil futures market, money that in the past has tended to drive up the price. But won't rising global economic activity increase demand for oil and drive up the price? 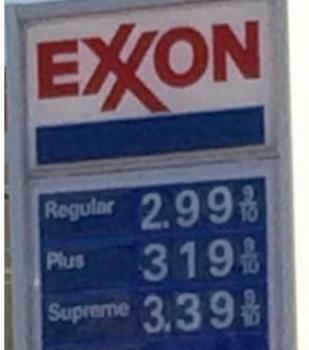 That was the reason we were given for oil's price surge in the mid 2000s. It's a different story now, with economic activity slowing world-wide, especially in Europe. The supply and demand factor seems to be favoring the U.S. consumer, at least for now. Finally, U.S. motorists are benefiting from a strong dollar. The U.S. currency rose sharply in the third quarter and is still gaining strength against other currencies. Since oil is priced in dollars, it takes fewer dollars to buy the same quantity of oil as it did a year ago. None of these appear to be systemic changes but neither do they appear to be short-term trends. The end result is that filling up might not be quite as painful for some time to come. In most areas of the country gasoline prices have started to drift lower again after rising during most of January and February. It's a pattern that tends to repeat itself every year. But why? And why this year, when crude oil prices have remained at multi-year lows? There are two main reasons and both, at least indirectly, are the result of U.S. government policies. During February, U.S. oil refineries switch over to producing a summer blend of gasoline, which costs more to refine than the grade of gasoline used during the winter months. According to Popular Mechanics, winter gas is cheaper to produce but worse for the environment. There is another complicating factor. Because of overlapping state and federal regulations, U.S. refiners must blend about 20 different grades of gasoline to meet these regulations. The regulations were put in place to control volatile organic compounds, known as VOCs. When fuel has more VOCs during hot weather these compounds are more likely to produce smog. The switch-over process can also produce added costs for consumers. That's because it normally reduces a refinery's gasoline output temporarily. That smaller output reduces the nation's stockpile for gasoline –again, only on a temporary basis. But because gasoline – like oil – is a commodity sold in a market, its price will fluctuate, based on what market traders expect the cost to be in the future. Patrick DeHaan, senior analyst as Gas Buddy, a company that tracks retail gasoline prices nationwide, says news of a refinery problem anywhere during the winter can send prices higher. “Unfortunately motorists are stuck paying the price traders are buying at,” DeHaan told ConsumerAffairs. “A refinery kink develops and traders are forced to increase their bids. It's unfortunate that motorists are on this wild rise because, essentially, there's a declining number of refineries. That's another contributing factor to volatile gasoline prices – there are fewer refineries in the U.S. turning crude oil into gasoline. DeHaan says just two decades ago the U.S. had 100 more refineries than it does now. “They were smaller in size and more spread out, which is part of the reason why they closed,” DeHaan said. “Not to say the Clean Air Act is bad but some smaller refiners decided it wasn't worth the cost of compliance with some of these air pollution requirements that had been placed on them by the EPA and instead of installing controls they've closed. As a result the U.S. now relies on fewer but larger refineries. That, says DeHaan, makes consumers more vulnerable to price volatility. “When there is an event at one of these refineries it is more disruptive of the flow of gasoline to the pump,” he said. At a time when millions of consumers are struggling to keep gasoline in their vehicles, two United States Senators – a Republican and a Democrat – have proposed raising the federal gasoline tax 12 cents a gallon – an increase of nearly 65%. Sen. Bob Corker (R-TN) and Sen. Chris Murphy (D-CT) are winning praise for their bold proposal in an election year. But chances are none of that praise is coming from the growing number of consumers who struggle to make ends meet. The average price of self-serve regular these days is $3.68 a gallon, according to the AAA Fuel Gauge Survey. It's nearly a dime more than consumers were paying a year ago and 37 cents higher than at the start of the year. Consumers aren't exactly getting raises at work, so another increase in gas prices – 6 cents a year for 2 years – is going to make a dent in the wallet. So the question has to be asked: Are Corker and Murphy out of their minds? The two lawmakers make what they say is a rational argument for the tax hike. The gasoline tax revenue goes into a fund to pay for highway construction and maintenance and they point out the fund is nearly broke. The gasoline tax – 18.5 cents a gallon – hasn't been raised since 1993. Looked at that way, perhaps it isn't unreasonable to conclude that the tax should be raised to cover the cost of the roads that motorists use. What seems to have been overlooked, however, is the extremely regressive nature of the gasoline tax and what raising it could do to consumers – and the economy. High income drivers will have no trouble absorbing a higher price for gasoline. On the other hand, it's going to be a problem for a single mom who hasn't had a raise in 4 years. Could there be some way to cushion the blow for her? In an effort to prevent the tax increase from being seen as a tax increase, Corker and Murphy propose to restore some unnamed tax breaks that are scheduled for elimination. But Forbes' Howard Gleckman says that won't cut it. And there's an added problem. The tax burden has shifted to consumers who drive – including the single mom. Is she likely to benefit from those restored tax breaks? Don't count on it. The problem, it seems, is that the price of gasoline has less to do with supply and demand and more to do with what the market will bear. The U.S. Energy Information Administration (EIA) estimated in 2009 the real costs of producing a barrel of oil was around $52. The current price is north of $106. When gasoline prices reached their record highs – over $4 a gallon – in 2008 the market established where the breaking point was. It's probably no accident that the prices haven't fallen too far below that since. 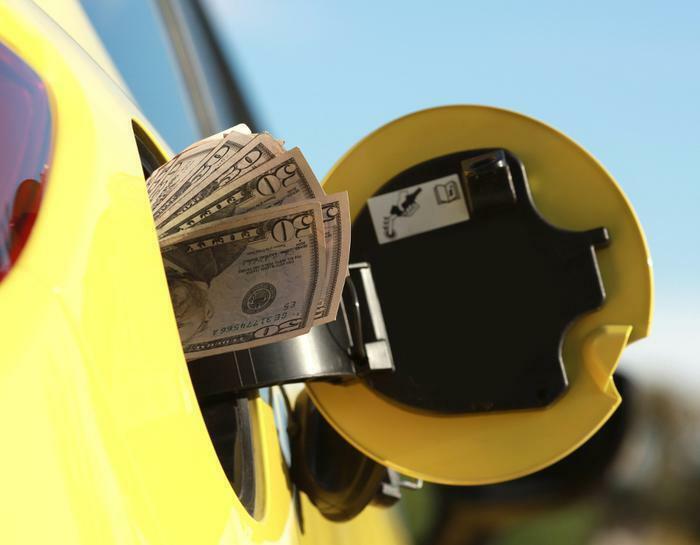 Besides the current federal gasoline tax each state also levies its own gasoline tax, and in nearly every case the state tax far exceeds the federal levy. That's partly responsible for the wide swing in prices from state to state. According to the American Petroleum Institute California adds nearly 53 cents a gallon to the price of gas while New York adds 42 cents. South Carolina, meanwhile, tacks on less than 18 cents – one of the only states with a tax lower than the federal rate. Would the states cut their tax rate to offset a federal tax hike? Again, don't count on it. Most states have budget crises of their own. The good news for drivers is that, in an election year the gas tax hike proposal is probably going nowhere. The bad news, however, is that gasoline prices – tax hike or no tax hike – will continue to go up. Is Gasoline Going to $5 A Gallon This Summer? The former CEO of Shell Oil USA says there is a “better than 50 percent chance” gasoline prices will hit $5 a gallon by sometime this summer. John Hofmeister, founder of an advocacy group called Citizens for Affordable Energy,” says even though demand for gasoline is weak in the U.S., global demand for oil will keep driving the price of gasoline higher. 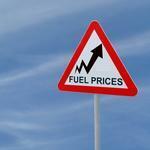 Are rising U.S. fuel exports keeping consumer prices high? As gasoline prices at the pump have climbed over the last four years, so have U.S. exports of refined petroleum products, primarily diesel fuel. U.S. Energy Information Administration data suggests net exports of refined products will hit a record level of 1.54 million barrels a day this month – more than twice the level of last August's exports. Ironically, the surge in exports coincides with a steady decline this month in U.S. fuel prices. The reason for the decline in prices is falling demand and the process of switching over to winter-blend gasoline from the more expensive summer blend. It turns out the U.S. just has that much oil these days, and enough refining capacity to ship millions of barrels of diesel fuel overseas. Some analysts have even declared that the U.S. is fast becoming “petroleum refiner to the world.” Just two years ago the U.S. became a net exporter of petroleum products. Now we're the world's biggest exporter. The U.S. is now swimming in oil, thanks to the oil shale revolution that has turned places like North Dakota into the new Saudi Arabia. The U.S. still has a law on the books – passed during the oil shock of 1979 – that prohibits the export of crude oil, except to Canada and Mexico. The law, however, makes no mention of oil that has been refined into gasoline or diesel fuel. It's diesel fuel that is leading the petroleum export surge. The profit margins are higher and the international demand is stronger for diesel than gasoline. Much of the world's automobile fleet runs on diesel. But a number of consumer advocates have wondered aloud in recent months whether this rush to sell refined petroleum products to the rest of the world hasn't hurt the U.S. consumer. If we have so much excess petroleum product, why aren't U.S. pump prices lower? The answer may not be that simple. Even some industry experts agree that exports keep fuel prices higher for U.S. consumers, although they disagree over how much. Francisco Blanch, a commodities expert at Bank of America Merrill Lynch, believes the difference is significant. He recently told NBC News that if there were a ban on U.S. petroleum exports, U.S. prices would be much lower while fuel prices would be much higher elsewhere in the world. The fact that U.S. crude oil can't be exported, he says, also keeps prices down for U.S. consumers. This is an opinion consumers may want to keep in mind, as the Wall Street Journal reports there are whispers in Washington that the law banning crude oil exports needs to be revised. In fact, during a recent interview President Obama predicted that the Keystone Pipeline will one day carry U.S. crude oil to Gulf Coast terminals for shipment around the world. That can't happen unless the current law is modified or repealed. In a recent editorial, Bloomberg News called for a reversal of the crude oil export ban, pointing out circumstances have changed drastically since the law was passed. 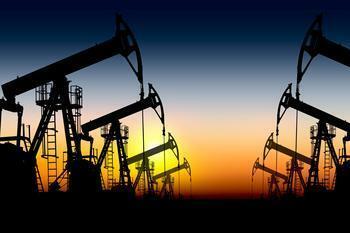 The editorial warns that the ban threatens to put a damper on the U.S. shale oil boom. OPEC, however, probably hopes the ban remains in place. Prince Alwaleed bin Talal, an OPEC official and a member of the Saudi royal family, recently warned his government that the boom in U.S. shale oil and gas could reduce demand for Saudi crude. What's best for the U.S. consumer? If you conducted a survey at the gas pump, you would probably find that a large majority favor retaining enough petroleum product in the U.S. to keep prices competitive and predictable. When prices yo-yo as they do throughout the year, it plays havoc with the family budget. Drivers on the East Coast, meanwhile, would probably like to see the lower gasoline prices drivers in the Southeast enjoy. One reason they pay significantly more for fuel, however, is that their crude oil doesn't come from the new bounty of the oil shale revolution. Instead, East Coast refineries import oil from Europe and the Middle East. Why can't the plentiful oil from America's heartland be shipped east? It can, but only if transported aboard U.S.-registered tankers. There's a law that requires that. The refineries say U.S. ships cost more, which would actually result in even higher prices at the pump. It's cheaper, they say, to import the oil they need to produce motor fuel. Price continues to be the main reason a motorist pulls into one gas station and not another. It was that way when gasoline sold for 38 cents a gallon. It's no different now that it's $3.50. But there is one difference. 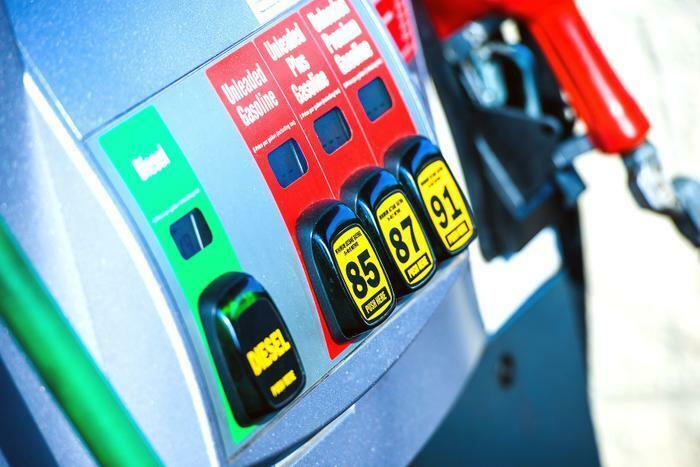 Even though 66% of consumers say price is the most important factor in determining where they fill up, 18% say they make their decision based on a specific loyalty card, according to a new survey by the National Association of Convenience Stores (NACS). Loyalty cards reward regular customers with perks, often a few cents off per gallon of gasoline. Even when consumers express a preference for a brand, it's only because the brand has the reputation for low prices. Today no one believes one kind of gasoline is any better than another. That wasn't the case in the distant past, as the 1960s TV commercial for Texaco Sky Chief gasoline below tries to convince consumers it was a better quality than its competitors. 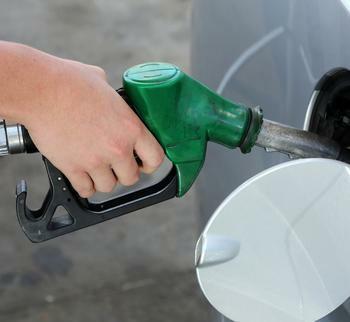 The price consumers pay for gasoline has a huge impact on their attitudes, the survey found. Not surprisingly, 85% of consumers say that gas prices influence how they feel about the economy. "Gas prices play an enormous role in consumers' everyday conversations," said John Eichberger, NACS vice president of government relations. "Retailers know that consumers will go someplace else for a difference of a few cents per gallon — and this daily battle for customers is why retail fuel margins are so thin." It is not unusual to find motorists driving out of their way to take advantage of the best deal on gas prices. In fact, 66% say that they would drive five minutes out of their way to save five cents per gallon. From now on, cheaper gasoline might be a bit harder to find, at least for a while. The first week of February traditionally marks the beginning of the spring transition to summer-blend fuels for the fuels industry, requiring a change-over at most refineries. Since 2000 consumers have borne the brunt of that, with gasoline prices increasing on average, more than 50 cents between the first week in February and the time of the seasonal high price, typically late May. Today, the national average price of self-serve regular is about $3.28 a gallon. If the pattern of past years holds true, prices could rise to about $3.78 by the start of the summer driving season. However, there are many reasons this year might break the pattern. If gasoline prices are relatively cheap now where you live – and Arkansas, Tennessee and South Carolina have among the cheapest in the country – they aren't likely to rise much. This week's report from the U.S. Energy Information Administration revealed something of a surprise. U.S. supplies of gasoline jumped by more than five million barrels last week. It was a surprise because demand for gasoline has been ticking upward. Despite a still-sluggish economy and stubbornly high unemployment, consumers are driving more, perhaps encouraged by prices falling below $3 a gallon in some parts of the country. For the week ending December 7 the U.S. had more than 217 million barrels of gasoline on hand -- about three percent higher than the five-year average. Even in the Northeast, where Hurricane Sandy disrupted supplies last month, gasoline stockpiles are growing, not shrinking. U.S. refineries aren't working overtime to produce the increase. In fact, output last week was around 90 percent of capacity, just slightly above normal for this time of year. Refineries have plenty of crude oil with which to work. 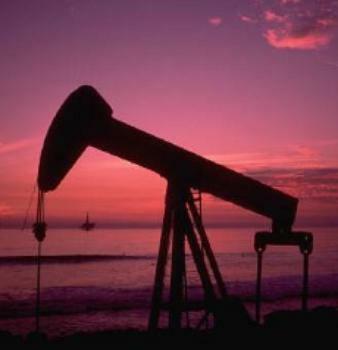 The EIA report shows crude oil inventories rose 843,000 barrels to 372.609 million barrels. That was partly due to continued strong U.S. oil production. Domestic oil producers turned out about 6.8 million barrels a day last week. 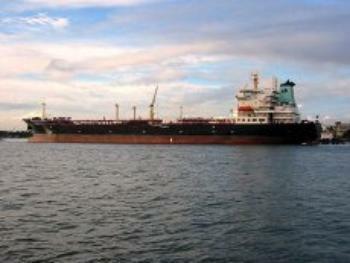 The U.S. imported 8.4 million barrels a day, mostly from Iraq, Canada and Columbia. The build in supply is keeping retail gasoline prices stable but that isn't affecting price all that much. Gasoline prices have been falling over the last several weeks, mainly because that is the historic norm. In fact, today's national average price is about four cents higher than it was a year ago. Rather, gasoline prices are likely to continue to take their cue from oil prices in the year ahead. And if recent history is any guide, consumers can expect prices to rise sharply in the first half of the year. In both 2011 and this year, oil prices began rising in January -- not because of supply and demand issues but because of fears in the oil markets that there could be a supply problem in the future. In 2011 it was unrest in Egypt and Libya that sent prices higher. This year it was Syria. Higher oil prices meant higher gasoline prices as well, as the national average price approached $4 a gallon both this year and last. Will the pattern hold again this year? Consumers might be wise to prepare for it. But should we go over the fiscal cliff at the end of the year -- and the economy slips into a recession -- prices might not rise at all, but actually go down. The U.S. Senate Permanent Subcommittee on Investigations has issued a reportasking the serious questions about major banks that consumer advocates have been asking for years. Have banks purposefully driven up the price of commodities – oil in particular – to the detriment of consumers? In advance of hearings the subcommittee released its massive report laying out new details about what it says is “the breakdown of the traditional barrier between commercial activities and banking.” The report focuses specifically on the activities of three of the largest banks – Morgan Stanley, JPMorgan Chase and Goldman Sachs. These banks, it turns out, didn't just trade in commodities options. In many cases they actually purchased the physical commodities for resale. Senate investigators said the way they managed some of those physical assets caused their prices to rise, allowing the banks to sell the commodities at a higher profit than might have been possible otherwise. While that was good for the banks' shareholders, it was not good for consumers since many of the commodities were used in products consumers more or less have to buy. For example, the subcommittee report says Goldman Sachs purchased huge quantities of aluminum and stored them in warehouses. Goldman bought the company that manages the warehouses and after it took control, the subcommittee says the average time it took to deliver aluminum that had been purchased by end users rose from about 40 days to 600 days. That delay had the effect of removing aluminum from the market, making the price of the metal more expensive. If buying up aluminum and withholding it from the market could drive up prices for the metal, would it be possible to do the same thing with other commodities – like oil for instance? When consumers suggested that 2008's surge in oil and gasoline prices was due in part to speculators, the notion was laughed off on Wall Street. But the subcommittee report discloses that, until recently, Morgan Stanley controlled 55 million barrels of oil storage capacity, 100 oil tankers, and 6,000 miles of pipeline. That's not to say that it engaged in any activity that would have caused the price of oil to rise – but it couldn't have been disappointed when oil prices did, in fact, surge. “Banks have been involved in the trade and ownership of physical commodities for a number of years, but have recently increased their participation in new ways,” said Sen. John McCain, (R-AZ). McCain and others are expressing concern that the concentration of commodities in the hands of the largest banks will lead to systemic financial risks, like when the collapse of mortgage backed securities triggered the financial crisis. That's a real concern but the consumer issue may be equally as large. If the price of a vital commodity such as oil were somehow manipulated in a way that caused consumers to spend more money on gasoline – hardly a luxury – then consumers would have less money to spend on other things. That, it would seem, poses an equally large risk to the economy. The oil price war being waged by Saudi Arabia against U.S. shale producers has resulted in a collapse of fuel prices since the summer. While Wall Street frets over the “bear market” for oil, it has been a bonanza for consumers. 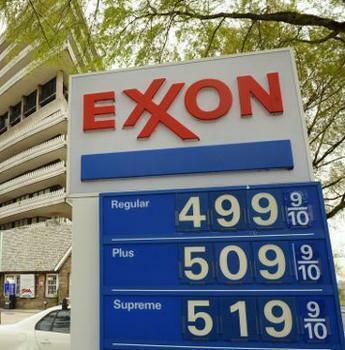 Consider this: nationwide gasoline prices are more than 50 cents a gallon less expensive they they were a year ago. 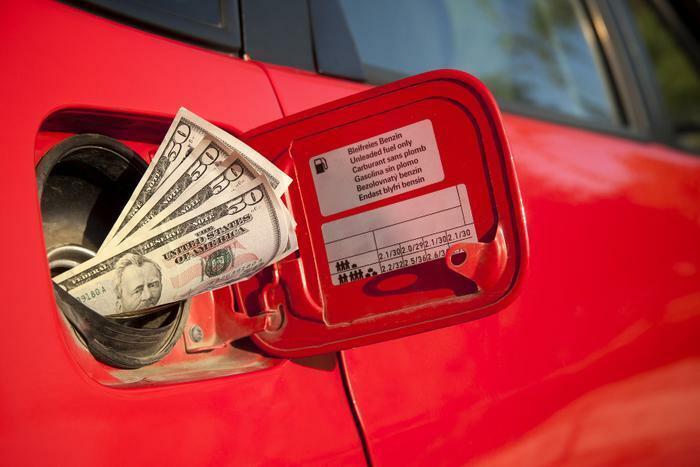 According to AAA, U.S. consumers are saving about $200 million per day on gasoline compared to a year ago. But no one in the industry sees the gift ending with the holidays. It's like consumers are receiving a fruit-of-the-month gift, with each month bringing lower prices at the pump – at least for a year. The national average price of a gallon of self-serve regular has fallen to about $2.70. By New Years Eve AAA expects the price could fall another 20 cents a gallon because retail gas stations haven't been able to keep up with how fast the wholesale price of fuel has plummeted. Over the last few winters oil prices have escalated sharply into the summer driving season – usually blamed on geopolitical unrest somewhere. No one is expecting that to happen this winter. The entire Middle East could go up in flames and as long as the Saudis continued pumping the price of oil would remain near recent historic lows. 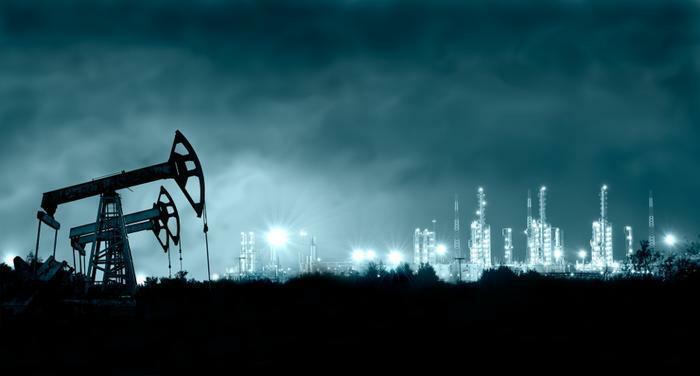 Banks and hedge funds that have played the oil commodities market since 2005's Hurricane Katrina have fled the scene, and their absence has pretty much left the market to players that actually use oil. As long as the Saudis continue their pressure on U.S. producers, there is likely to be much less speculation among oil traders. Additional data from AAA shows just why the Saudis are so concerned about American oil production. U.S. oil production has increased by more than 70% since 2008 and the America may soon become the world’s largest oil producer. U.S. refiners have been buying U.S. oil instead of OPEC oil and the Saudis have watched with alarm as they have lost market share in the world's most lucrative market. As a result, oil industry experts keep pushing back their forecast for a rise in oil prices. This week Reuters reported its survey of 31 analysts and economists found most expect oil prices to significantly rise no earlier than late next year or early 2016. 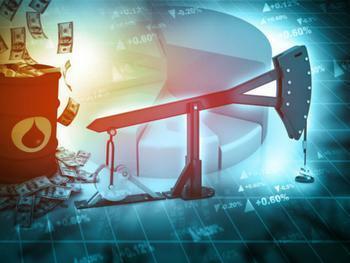 The oil experts predict Brent oil – the more expensive crude not produced in the U.S. – will average $82.50 a barrel in 2015. It's currently selling for around $70 but has averaged $102 this year. 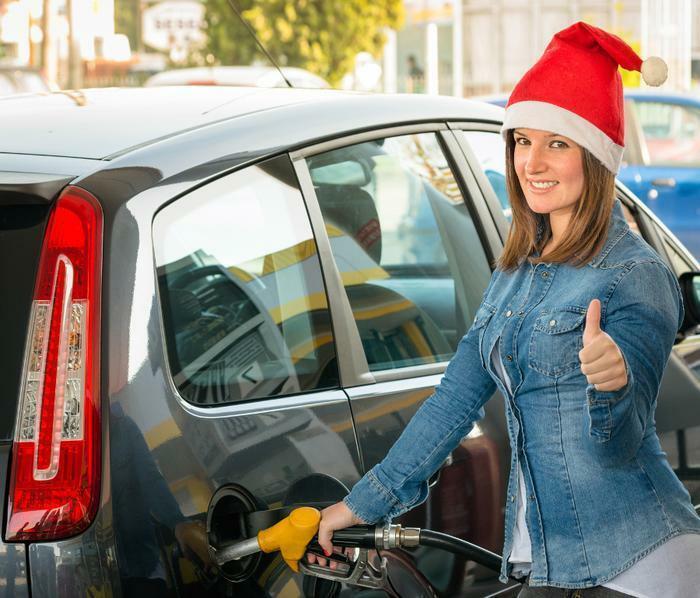 Even states like California and New York, where motorists paid more than $4 a gallon at the pump at times this year, are enjoying the gift of lower prices. According to AAA the statewide average in California is $3.04 a gallon and $3.15 in New York. Meanwhile, here are the 5 states where AAA found the lowest statewide average prices.